A Mass of Christian Burial for Msgr. Vincent A. Keane, a retired priest of the diocese, was celebrated at the Immaculate Conception Center, Douglaston, Feb. 9. He died Feb. 5 at the Bishop Mugavero Residence, Douglaston. He was 86. Born in Long Island City, he attended Cathedral College, Fort Greene; the Immaculate Conception Seminary in Huntington; Fordham University and the City College of New York. He was ordained May 31, 1958 by Bishop Bryan J. McEntegart at St. James Co-Cathedral, Downtown Brooklyn. 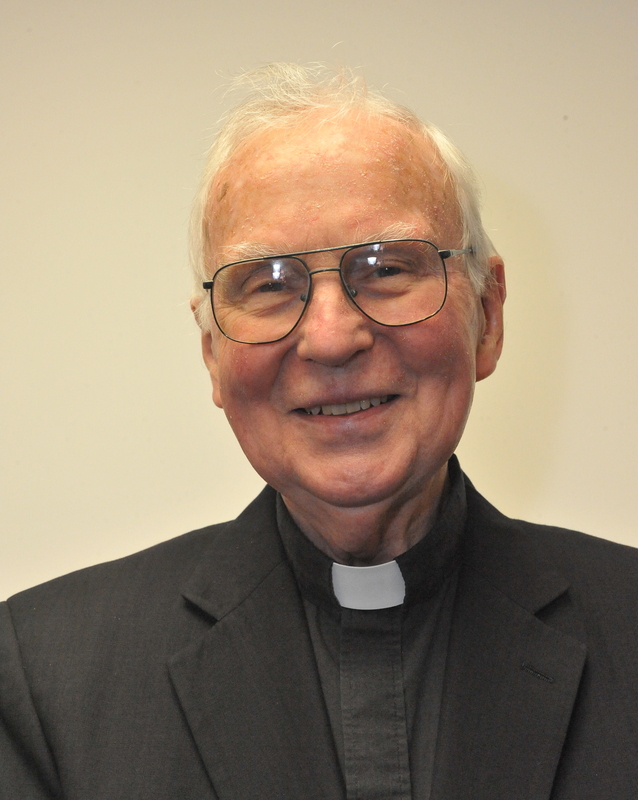 He served as parochial vicar at St. Pascal Baylon, St. Albans, 1958-59, before being assigned to the faculty of Cathedral College, Fort Greene, 1959-63. In 1963, he was named to the faculty of Cathedral Prep, Elmhurst, where he served as a teacher, 1963-73, and then as principal, 1973-79. He was an assistant at SS. Joachim and Anne, Queens Village, 1979-80, and St. Francis de Sales, Belle Harbor, 1980-83. He became pastor of St. Francis de Sales, 1983-88, and Our Lady of the Blessed Sacrament, Bayside, 1997-2001. He was the temporary executive director of the Immaculate Conception Pastoral Center, 1996-97, and spiritual director of the Cathedral Seminary Residence, Douglaston, 2001-04. Msgr. Keane also served as diocesan director of the Apostleship of Prayer-Sacred Heart Devotion, and director of the House of Formation, Douglaston. He was a member of the diocesan priests senate, the diocesan presbyteral council, the diocesan board of consultors and the Rockaway Catholic-Jewish Council. Auxiliary Bishop Raymond Chappetto was the main celebrant of the funeral Mass and preached the homily. Concelebrating the Mass will be Father Thomas Pettei, Father Fred Marano and Father Nadine. Father Kevin Sweeney, pastor of St. Michael Church, Sunset Park, was Msgr. Keane’s student at Cathedral Prep, and credits the late priest with helping to inspire and encourage his vocation. He is survived by his niece Mary Cunningham. (Known to me as Fr Vincent Keane). I remember him celebrating Mass in my parents house in Swinford Co Mayo Ireland. He loved Ireland and his extended family relations. He was a man of fine character and excellent judgment. Vincent & Kathleen Ginty & Family. He was a good and kind Priest. He made it his business to know his students, his parishioners, their families and their problems. He really cared about people. He walked the walk and talked the talk. He was saintly in his own way, he was humble, he was happy and his smile would fill the auditorium or the Church. him, you could not help but to be encouraged in your faith. laymen alike to become better Christians. He was one of my real life heroes. We will be less for his going. I’m certain today he rests in the arms of his Savior. Ar dheis De go raibh a anam ! He confirmed me in the 80’s. He was a very special priest. Such a lovely man! Sorry to hear about this great loss for the Catholic Community. May he rest in peace! Visit my next door neighbors Joe and Marianne Keane. It was with deep sadness we heard about the recent death of our late mother’s nephew, Fr Vincent Keane. I first met him in summer 1959 when he visited Ireland with his mother, Teresa Murtagh, who was making her first return home after the usual American wake departure in 1918. He was a tall elegant, well spoken, clean cut awesome Yank with a broad smile. On his many visits here he often said Mass in our homestead for relatives, friends and neighbours..One of many memories of him is ambling down the old house boreen to the Moy valley reading his Office, with the ring of Mayo Mountains on the horizon to the northwest. Maintaining his ancestral links was very important and he found it very moving when he touched the stones of his grandfather’s birth place near Woodfield Church. Humour and laughter was some of his many attributes and often known to burst into song on some occasions. He was a genuine man of the cloth and he came across as truly happy , content with his calling, obliging, kind and understanding. His warm smile, winning ways and generous spirit will be forever missed. May the Lord have mercy on his soul and reward him with eternal joy. The phrase embedded in the memory of every Cathedral student who passed through those doors during Msgr Keane’s time there. I’ve used the statement or variations of it through my life, always attributing it to Msgr. That’s how much of an impression he made on me in four short years. Msgr Keane was one of the most gentle, humble, loving and holy priests I have had the honor of knowing and I know very many priests around the world. Heavens Gain. And the world diminishes. Vinnie’s mother and my father’s mother were sisters so they were first cousins. My father was Andrew Lavin and I am his son Andy Lavin jr. Vinnie buried my Grandparents, married me, baptized my children, buried my brother Jimmy and my father. He was the religious rock of a religious family and had the gift for the thing to say in sad times. I always looked forward to his trips to a NY Giants football game him and my father went to every year a few years back. If a ticket could be gotten I was able to attend but if not an after game nice dinner was always had. I also know he was a big NY Rangers and NY Yankees fan and smiled when I saw the Yankees hat on his casket after it was taken out off the chapel after his funeral and had just wished I had added a NY Rangers and Giants hat. In recent years with his health declining when I inquired I was told visiting was not a good idea. At his lunch after the funeral I and some Lavin cousin’s met a young priest, Father Mark from a neighborhood parish who called Vinnie his “Prayer Coach”. That was pretty nice to hear. God Bless Cousin, pretty sure not needed.